Our 24th Woman You Should Know is Barbra Gentry- Pugh and her archive of achievements are awe-inspiring, massive, nobel and notable! Barbra heart’s desire is to know Christ intimately and to be an instrument used by God, stirring the same desire in others with every beat of her heart. She is Founder and CEO of Heart Expressions Ministries, LLC, a faith-based ministry devoted to reaching the heart of women one-beat at a time, to live lives expressing the heartbeat of God. Barbra is Bible teacher and conference speaker. She conducts workshops, seminars, and facilitates small groups. The workshop, seminars and small group presented consists of Christian Perspective of Mental Illness, Emotions-What Do I do With Them? Biblical Approach to Depression, My Sister’s Keeper, Holding Hands Holding Hearts, Becoming Whole in The Body of Christ, Your Heart’s Desire, The CPR of Relationships, Self-Confrontation and So You Want to Get Married. Barbra has over 30 years working in ministry as President of Women’s Ministries and outreach ministries. She is President of the Royal Ambassadors for Christ, a Christian outreach ministry involved in reaching the loss for Christ. She traveled to Senegal, West Africa as a missionary and representative of (RAFC.) She is co-founder of PG3 Ministry designed to encourage the honest expression of emotional struggles so people can experience the power of God’s help, hope and healing by dispelling mental health myths with biblical perspectives Barbra is a board member of The Professional Women Network, Women Who Inspire ministries and member of Your Own Your Uniqueness. 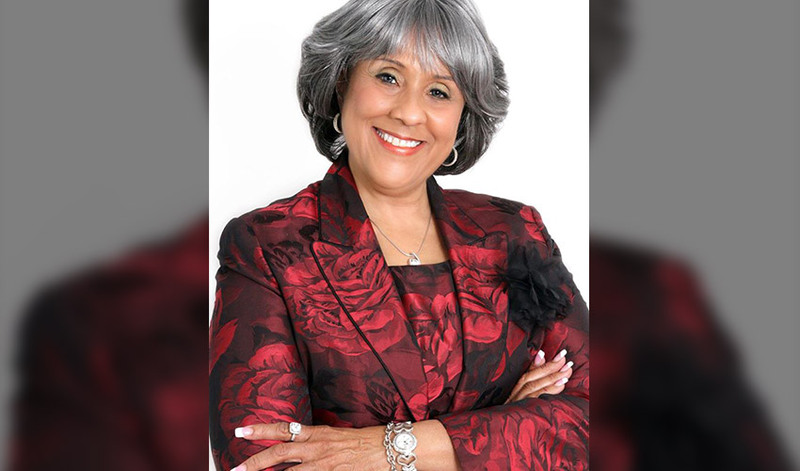 Barbra is a Certified Biblical Counselor and adjunct professor with the Christian Research and Development; where she teaches classes that will prepare students to confront themselves, resolve their own problems, and counsel others using the Bible as their textbook to change lives for God’s glory. Among her many accomplishments, she is an international published award-winning author for her book Every Beat of My Heart a PWN International Literary Award Recipient (August 2015), which shares prescriptions for the physical, emotional, and spiritual blockage that hinders the Source of life which flows from the heartbeat of God. She has also co-authored seven books with The Professional Woman Network. Barbra is the past host of the Barbra Gentry-Pugh Show, now Heart Expressions with Barbra. The show provides a wide range of information to assist in bringing balance and wholeness of the body, mind, and spirit as well as to introducing and supporting Christian business and professional women entrepreneurs. She holds a B.A. in Human Services from the University of Detroit and Master Degree in Christian Education from Michigan Theological Seminary, now (Moody Theological Seminary – Michigan.) Barbra is a Registered Nurse, graduating from the Methodist Hospital of Nursing, Lubbock, Texas, and licensed in the state of Michigan. Barbra has worked as a Registered Nurse for over 40 years. She has worked in various areas in the field of Nursing as Assistant Director of Nursing, Director of Nursing Education, Critical Care Nursing and Community Resource Specialist consulting and supporting individuals who dually diagnosed. Barbra retired October 2016 from her position as a Clinical Coordinator with a local agency. She is a member of Triumph Church under the under the pastoralship of Rev. Solomon W. Kinloch, Jr., and serves on the Christian Maturity Ministry where she is involved in teaches classes and facilitating small groups. Barbra was married to the late Robert Pugh and has two children Anthony and Portia. Co-authored – The Professional Black Woman: Career, Relationships and Self-Esteem. What hasn’t she done?? She is a #monumental figure in her community and organizations she represents. Saving Her Elegance is more than pleased to acknowledge Barbra as our 24th Woman You Should Know!